FORT MCMURRAY, Alta. - The First Nation that was the main focus of Neil Young's recent concert tour about Alberta's oilsands has withdrawn from a government environmental panel. 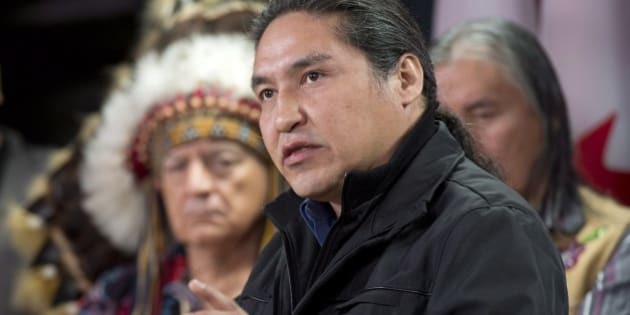 The Athabasca Chipewyan First Nation announced Friday that it is pulling out of the Joint Oil Sands Monitoring program. The program is the showpiece of federal-provincial efforts to monitor environmental change in the oilsands region. A spokesman for the First Nation says it made the move because the program lacks meaningful input from aboriginals and doesn't deal with concerns about treaty rights. Last year the Fort McKay First Nation north of Fort McMurray pulled out of the program. Bruce Maclean, a spokesman for the Athabasca Chipewyan, says the Alberta and federal governments aren't serious about keeping tabs on the oilsands industry. "It appears that the Alberta government and Environment Canada see the monitoring program as a way to assure Canadian and foreign investors that the oilsands are being developed in a sustainable way," Maclean said. Officials at Alberta Environment and Environment Canada were not immediately available for comment. The First Nation said monitoring programs should include clear directives to address their concerns about land use and the environment, especially how the oilsands affect air, water and wildlife. Maclean said the monitoring program did not include enough government money to allow First Nations to have an effective role. Earlier this month Young played concerts in four Canadian cities to raise more than $500,000 to help the Athabasca Chipewyan band pay for a legal attempt to protect its traditional land north of Fort McMurray. Young played in Toronto, Winnipeg, Regina and Calgary, and drew fire from politicians and industry over his comments likening the oilsands to Hiroshima.